I just found out that today is International Friendship Day! What better way to celebrate than with My Little Pony, they are all about friends! "July 30th is International Friendship Day! Let Everypony know you are this day of friendship in Equestria and everywhere! - Twilight Sparkle"
Good friends are hard to come by and I am grateful for the ones who are in my life today. To anyone who has listened to me vent, laugh, cry, ramble on etc. Thank you for being that friend. Check out fun games, videos and more on the official My Little Pony page! 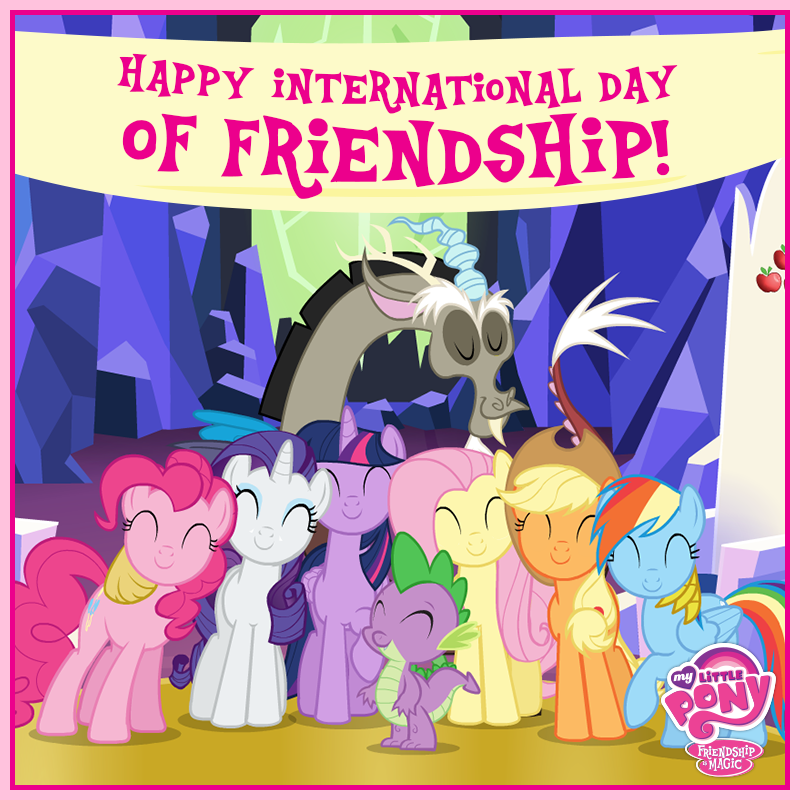 Posted on behalf of Hasbro Canada and My Little Pony in celebration of International Friendship Day. This is not a sponsored post. Opinions and comments are those of the author.